I’m not the first, and I most certainly won’t be the last person to discuss the power of social media in modern society. It’s hard to remember a time when Facebook and Twitter didn’t exist (a mere 11 and 9 years ago respectively). It’s hard to deny that social media doesn’t have a profound impact on our lives. However, politics is arguably one of the places where social media platforms have the most influence. 12 pm on a Wednesday; it’s time for Prime Ministers Questions. I, like many others, join the debate using #PMQs. Some have likened Twitter to shouting into a void; no one really cares about what you have to say, so therefore every tweet is arrogant and self-serving. This is simply not true. 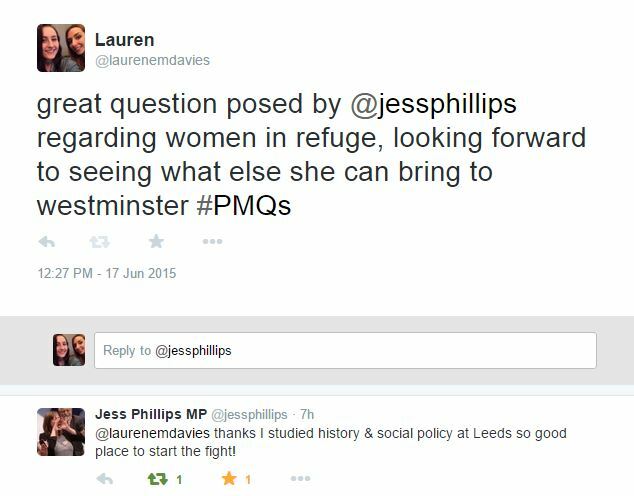 After tweeting about Jess Phillips’ question in the Commons, I received a reply from the new Labour MP for Birmingham Yardley. It may have only been a simple thank you, but her tweet to me along with those she sent to others served as a reminder that (some) MPs are just ordinary people. Now I’m not expecting high ranking front bench MPs to reply to the tweets of a 19 year old student (although arguably they should be taking the time to do so), but rather I believe that interaction between backbench politicians, particularly those who gained their seat in the last election, and the social media community is an important source of political debate. 140 characters might not seem like a lot, but it’s more than enough to get your point of view across to the nations politicians. Take Abby Tomlinson, otherwise known as @twcuddleston, for example. She rose to prominence in the preamble to the General Election as the leader of the Milifandom, ‘a movement against the distorted media portrayal of Ed Milliband’ as Abby puts it herself. At 17, Abby is arguably the new champion of youth politics, and I continue to admire her endless dedication to Miliband and the Labour Party despite the party’s loss in May. At first glance, the Milifandom might appear to some as a joke amongst other more ‘serious’ political discussion, but in fact it’s an ingenious way to make politics relevant to a somewhat disillusioned electorate. What we can all learn from Abby is that political movements have a rightful place on social media, even Ed himself thanked the Milifandom in his final speech as party leader. With 28.5k followers and 45.3k tweets, her opinions reach the likes of politicians such as Andy Burnham and Caroline Lucas, as well as journalists like Owen Jones. With such an array of followers, Abby has been able to infiltrate mainstream politics and have her voice heard. 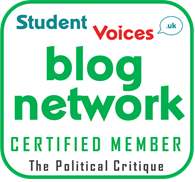 Even whilst finishing up her AS Level exams, she appeared on The Daily Politics, as well as finding the time to write articles for the Guardian and the Huffington Post. So what happens when the roles are reversed and it’s the politicians who are using social media to promote their policies and agenda? Well, it usually goes one of two ways; either it makes the politician in question appear more genuine and in touch with the electorate, or it can give off the impression that they’re simply trying too hard to be the ‘peoples’ politician’. An example of the former is Barack Obama whose personal tweets appear to mirror his real life persona. Pictures of him and his family, as well as other media such as this Buzzfeed video are just some of the things that help to reiterate the idea that he’s fun and doesn’t always take himself too seriously – he’s only the President of the United States after all. On the other end of the scale we have our own Prime Minister David Cameron. Forever known as the out of touch politician, Twitter users as well as celebrities were quick to mock his tweet regarding a phone call he had with Obama. As Rick Edwards wrote in his recent book None of the Above, the photo ultimately felt staged and looked like he was showing off. 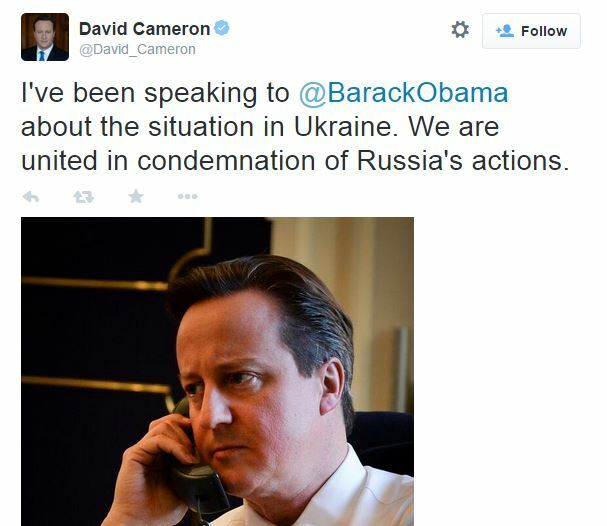 The mockery that the tweet generated did nothing to improve Cameron’s credibility. However, there is a dark side to social media, and of course it’s by no means restricted to politics. In recent years we’ve seen prominent figures such as academic Mary Beard, feminist Laura Bates, and champion swimmer Rebecca Adlington, face online abuse from trolls. Even though she’s still a teenager, aforementioned Abby Tomlinson faced taunts and harassment from former Conservative MP Louise Mensch, who tweeted more than 20 times about the Milifandom leader, but claimed that her words were nothing more than ‘criticism’. Unfortunately, for the time being abuse remains an integral part of social media; the laws against it can be unclear and there are numerous loopholes that trolls can seek out to prevent conviction. It’s not something that should be taken lightly and the problem needs to be addressed, but it’s a small victory to know that trolls don’t stop people from taking to Twitter and expressing their views, hopefully with the ultimate goal of bringing change to the country.